The food of angels. I’ve always thought this cake had a fitting name. White as wool, light an airy as a cloud, and a deliciously delicate flavor – it’s easy to see why this 19th century American creation has remained a favorite through the generations. Originally called “Snow-drift Cake” in an 1871 cookbook called Mrs. Porter’s New Southern Cookery Book and Companion for Frugal and Economical (now that’s a mouthful! ), a similar recipe called “Silver Cake” appeared ten years later in a cookbook with an equally long but slightly more down-to-earth title, What Mrs. Fisher Knows About Old Southern Cooking, Soups, Pickles, Preserves, Etc. Its author, Abby Fisher, was a former slave from Mobile, Alabama who moved to San Francisco with her husband after the Civil War, and her book is considered to be the first cookbook published by an African American. 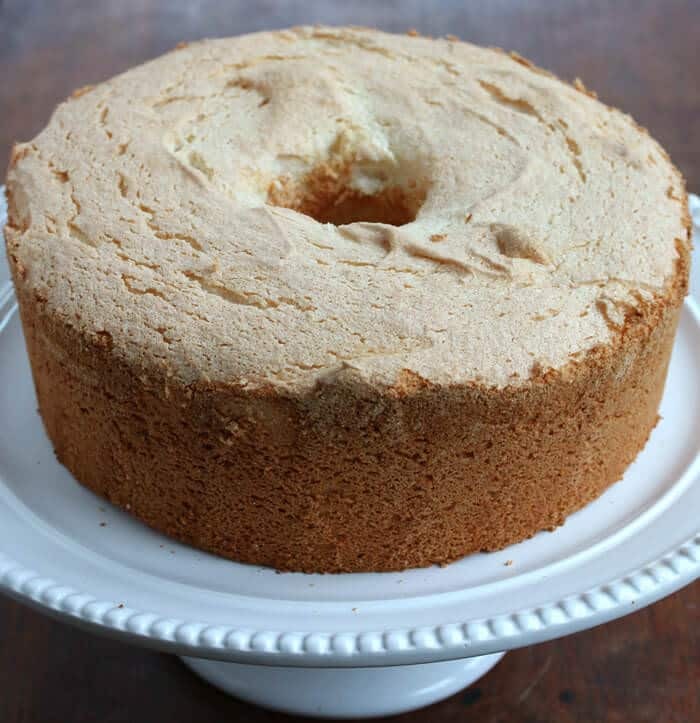 Three years later in 1884, The Original Boston Cooking School Cook Book had a similar recipe, this time called “Angel Cake.” The 1896 updated version of this cookbook by Fannie Farmer titled it “Angel Food Cake” and that name has stuck ever since. 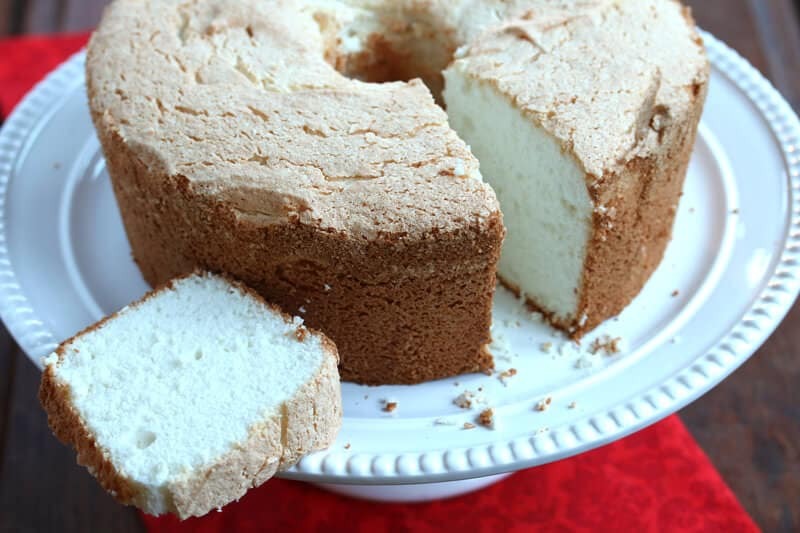 Angel Food Cake has remained pretty much the same over the generations though more recently some chefs have including such spice additions as cloves and mace. Traditionally it’s eaten plain, with a sweet fruit sauce drizzled over it, or with a very simple glaze. 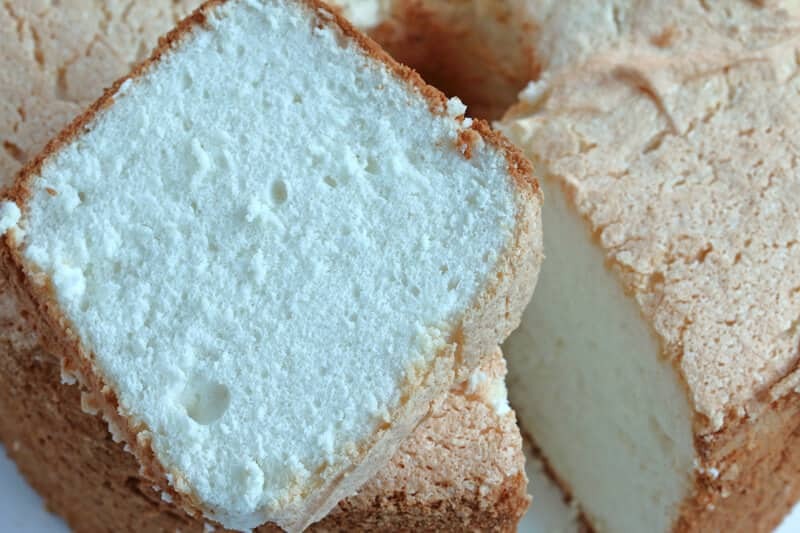 Angel food cake is also a popular choice for strawberry shortcake and torn into pieces for trifle. 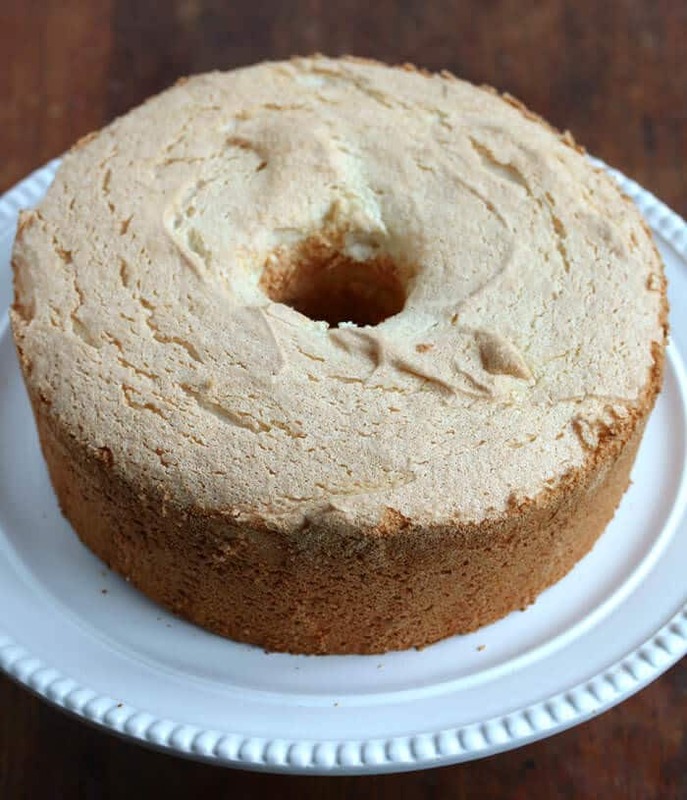 I’ve spoken to so many people who love angel food cake but say they’ve always felt too intimated to try and make it. But the reality is it is so, so simple to make and the end result is absolutely spectacular! 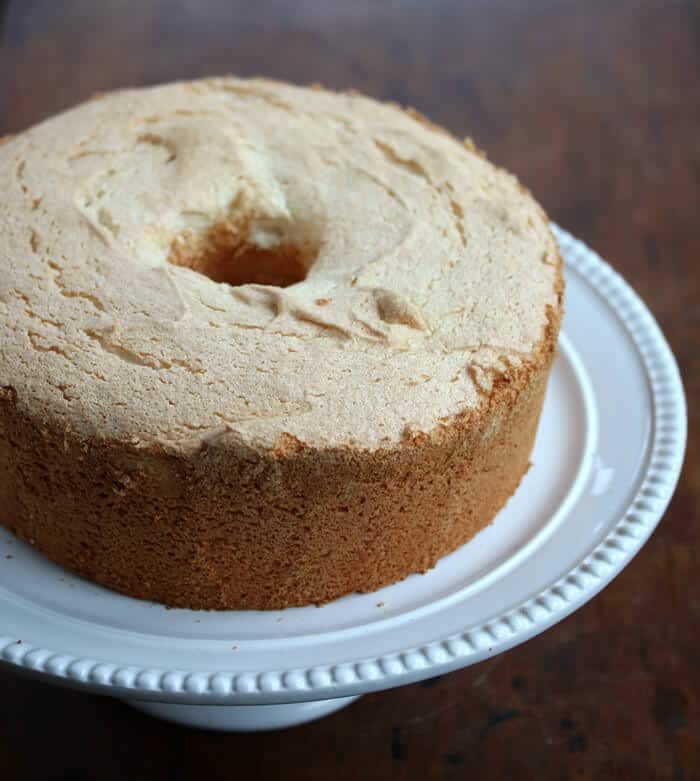 If you like angel food cake but have never made it before, roll up your sleeves because your time has come! 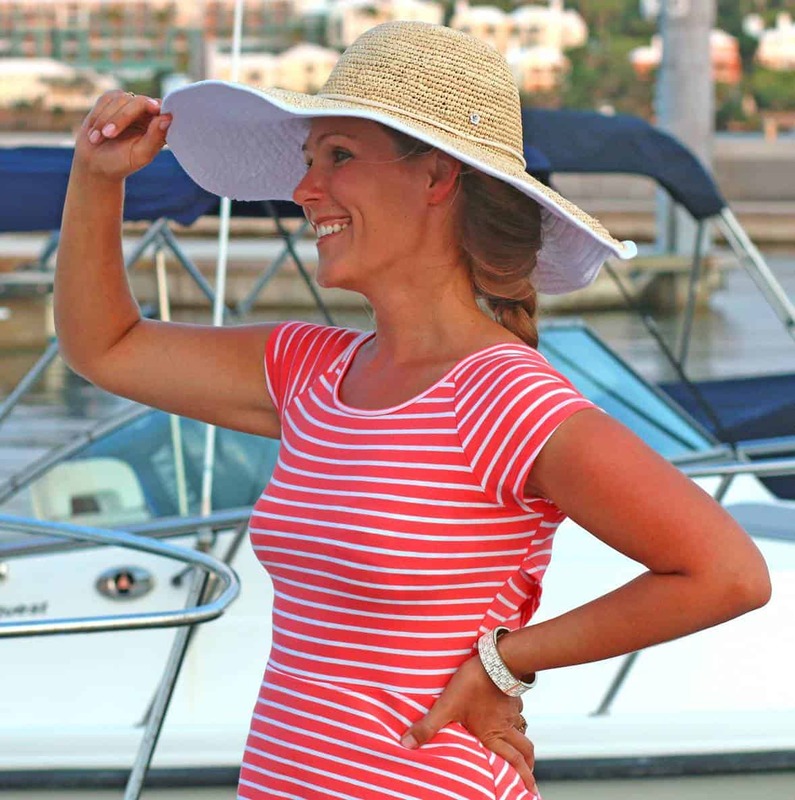 But first…we have a GIVEAWAY! While we’re on the subject of food fit for angels, let me introduce you to a sweet treat I’m sure the angels would also approve. I received these delightful treats for review and believe me, they are delightful. Raise your hand if you love cookies (me!). Raise your hand if you like chips (me!). Now combine the two and you have…Cookie Chips! “Tastes like a cookie, eats like a chip.” Is that ingenious or what? 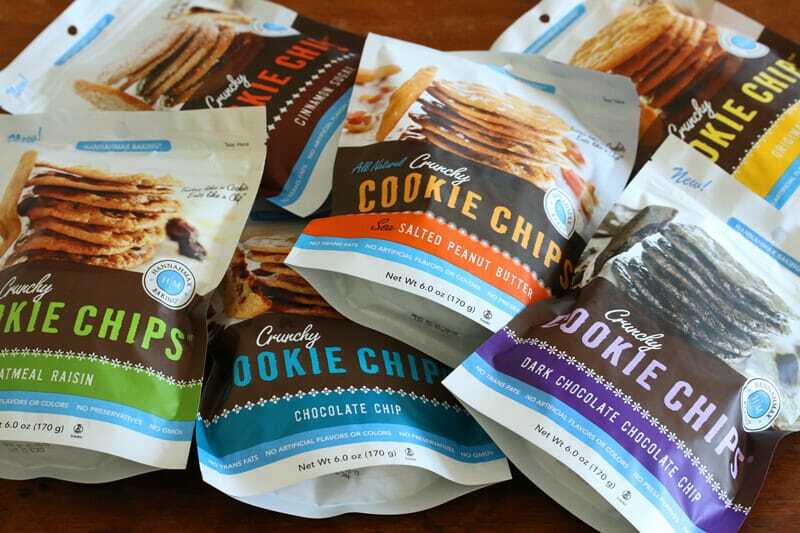 HannahMax sent me a sample of each of their 6 different flavors of Cookie Chips to try. They are SO good! The texture: Perfectly crunchy. The flavor: Oh my goodness. Here’s the best way I can describe it: You know that super yummy caramel-like flavor the very edges of home-baked chocolate chip cookies get? Yes, you know the flavor. Well that’s how these Cookie Chips taste – only all over! So good! My family and I all love them and thoroughly enjoyed each of the flavors. Here’s another reason we like them and why I’m excited to host this giveaway: HannahMax only uses whole ingredients such as milled cane sugar, creamery butter, whole eggs and real vanilla. Absolutely no GMO’s, trans fats, artificial flavors, colors or preservatives. 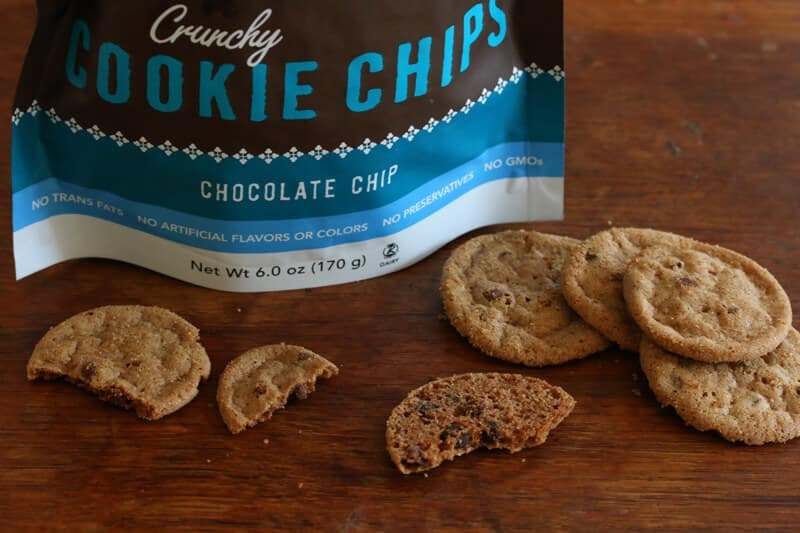 For example, there are only 8 ingredients in their Original Cookie Chips: Enriched unbleached flour, cane brown sugar, cane sugar, butter, cage free eggs, vanilla, baking soda and salt. That’s it. A snack you can feel good about eating. Thank you, HannahMax! My family and I enjoyed these cookie chips from HannahMax so much that I wanted to share them with as many of you as possible. So I asked them if they would be willing to give THREE winners a WHOLE SET of each flavor and they generously agreed! So here we go for the GIVEAWAY: THREE randomly chosen winners will each receive a multipack of ALL SIX flavors of Cookie Chips! Here’s all you have to do to enter: Leave a comment below answering the following question – If you had all 6 flavors in front of you, which flavor would you try first? (Options: Chocolate Chip, Sea Salted Peanut Butter, Oatmeal Raisin, Dark Chocolate Chocolate Chip, Cinnamon Sugar, or Original). Winners will be notified via email. If winners don’t respond within 48 hours, other winners will be chosen. This giveaway ends at midnight on February 1st. Be sure to check out the HannahMax website for some great recipe ideas! 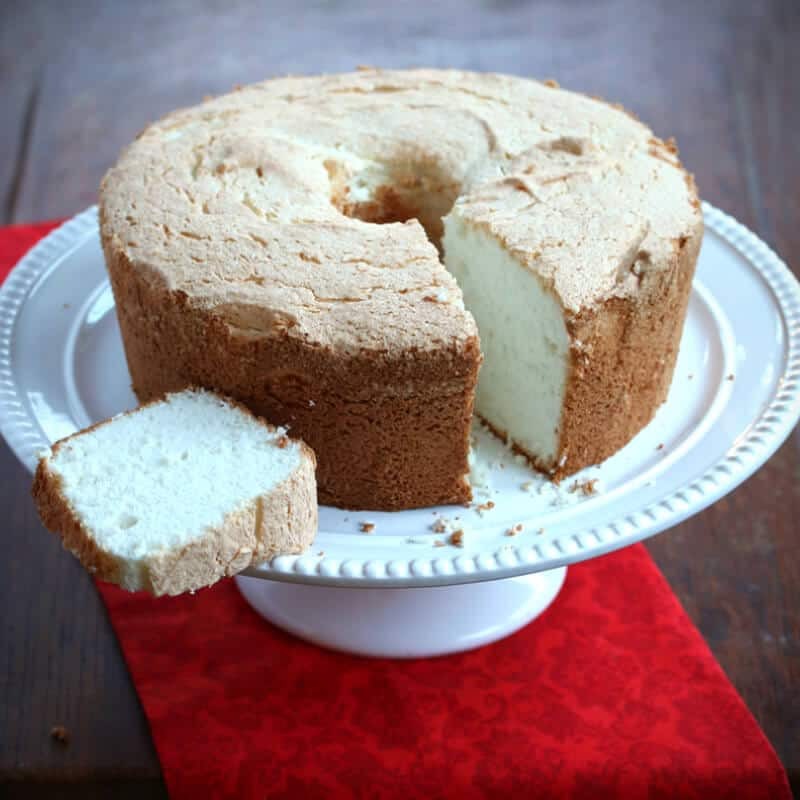 Okay, now let’s get back to our Classic Angel Food Cake! Perfectly light and airy, delicately flavorful and aromatic, using just 3 main ingredients and prepared in just minutes, this will soon be yours! 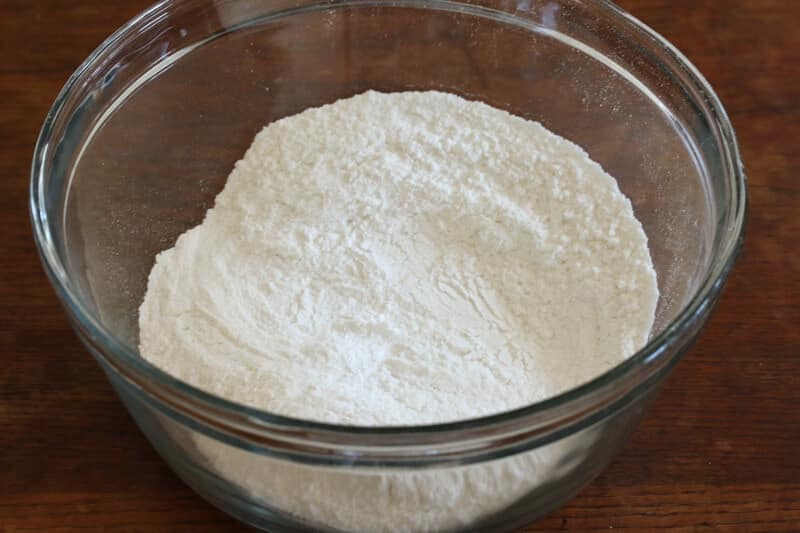 Place the flour and 3/4 cup of sugar in a food processor and blend for a minute until very fine. Set aside. 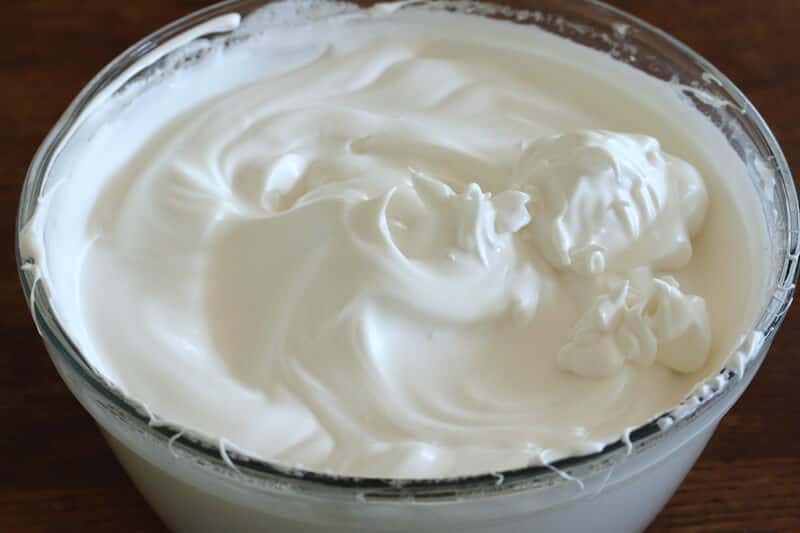 In a large mixing bowl, combine the egg whites, cream of tartar, salt, vanilla and almond extracts. 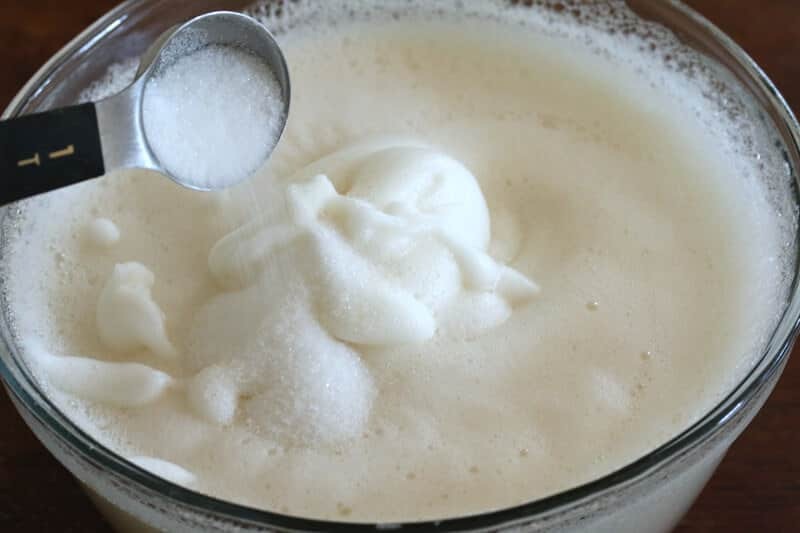 Using a beater, beat on high until soft peaks form then add the reserved half of the sugar gradually, a couple of tablespoons at a time, while continuing to beat the egg whites. Beat until medium-stiff peaks form. The mixture will be luxuriously glossy. 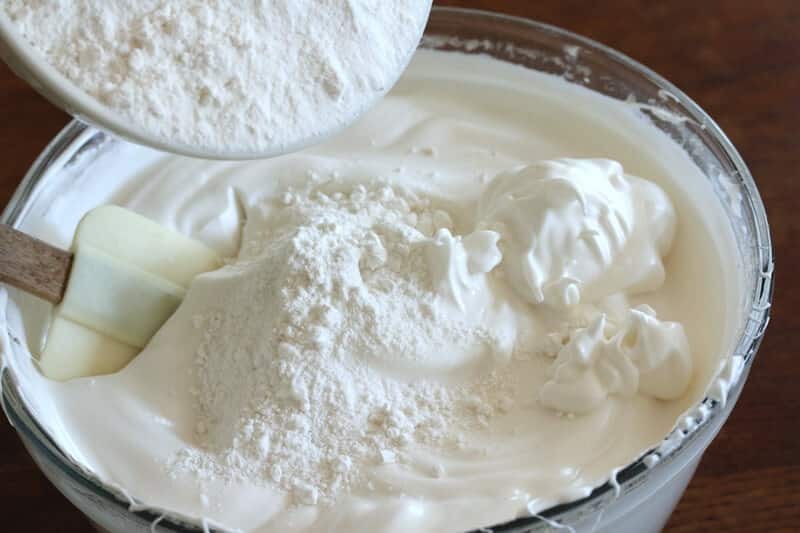 Gradually and very gently fold the flour-sugar mixture into the egg whites using a rubber spatula. Spoon the batter into cake pan. Do not grease the pan. Use the rubber spatula to gently smooth and even out the batter. In an oven preheated to 325 degrees F, place the cake pan on the middle oven rack and bake for 40-50 minutes or until a toothpick inserted into the cake comes out clean and the top is golden brown. Immediately invert the pan over a wire rack and let the cake cool completely in the pan before removing it, two hours. 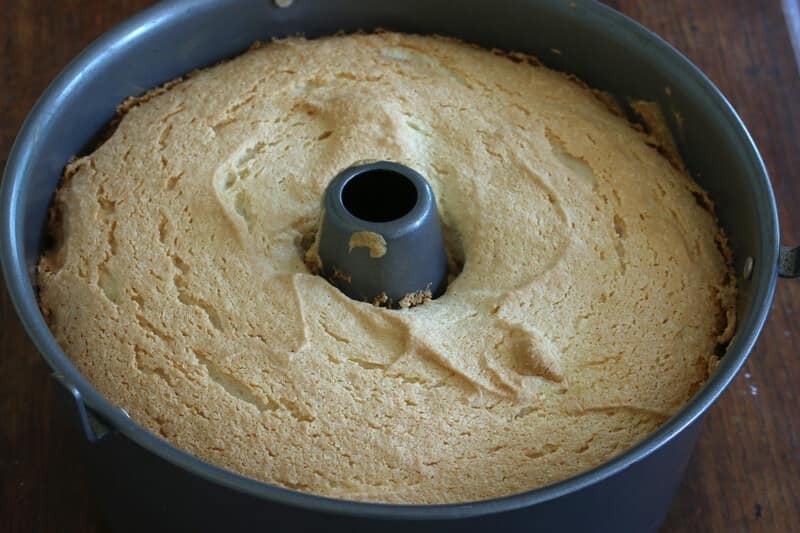 Gently run a knife along the sides of the pan to loosen the cake and remove it from the pan. Your masterpiece is ready to eat! Use a serrated knife to cut the cake. Eat it plain, serve it with a fruit sauce, drizzle it with a simple glaze, or serve it as strawberry shortcake. Preheat the oven to 325 degrees F. Do not grease the cake pan. 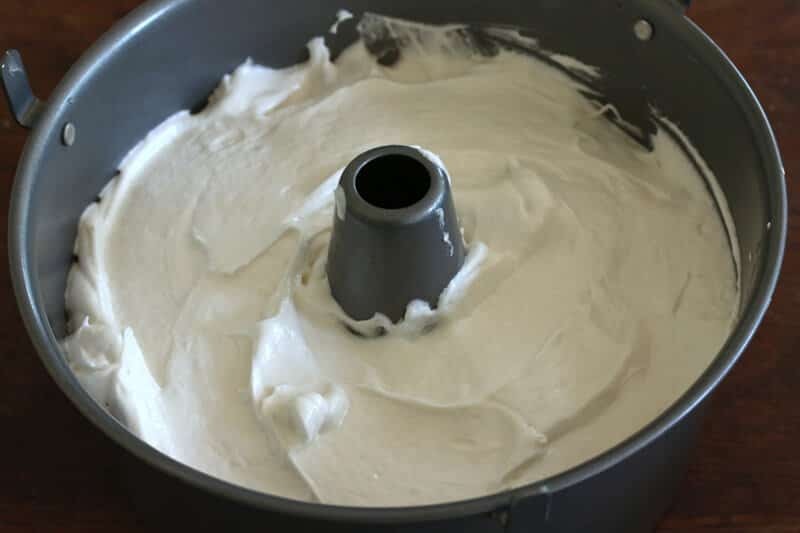 Place the cake flour and sugar in a food processor and blend for a minute until very fine. Set aside. 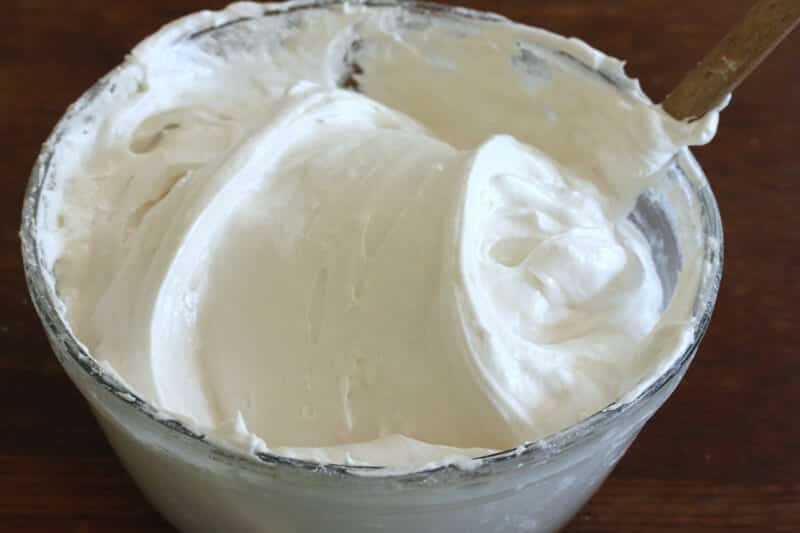 Place the egg whites, cream of tartar, salt, and extracts in a large mixing bowl and beat on high with an electric mixer until soft peaks form. 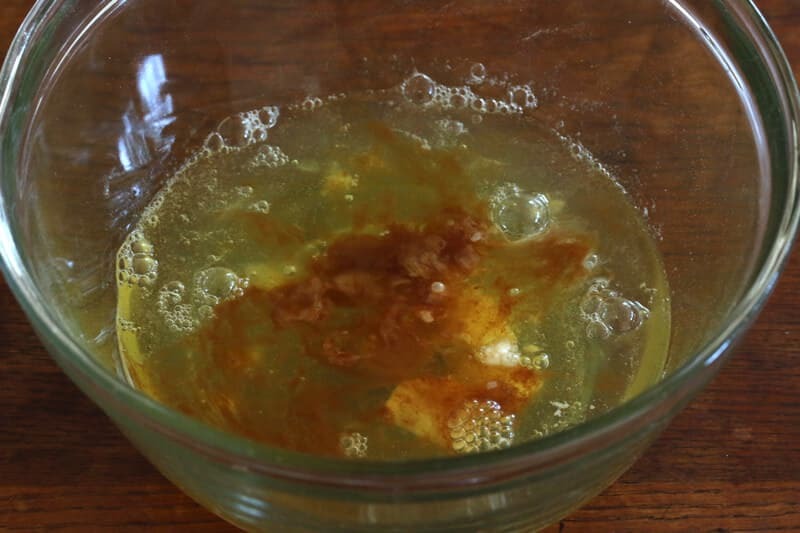 Gradually add the remaining ¾ cup sugar, a couple of tablespoons at a time, while beating. Continue to beat until medium-stiff peaks form. 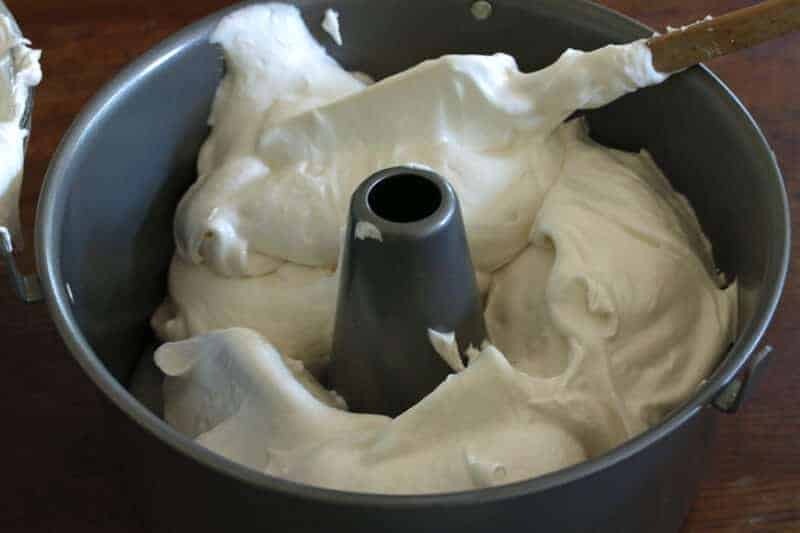 Gradually and very gently fold the flour-sugar mixture into the egg whites with a rubber spatula. Spoon the batter into the cake pan and use the rubber spatula to smooth the top to even it out. Bake the cake on the middle rack for 40-50 minutes or until a toothpick inserted into the center comes out clean and the top of the cake is golden brown. Immediately invert the pan onto a wire rack and let the cake cool completely inside the pan, upside down, for two hours. Disclosure: I received some Cookie Chips from HannahMax to try without any obligation to write a positive review. As always, all opinions are entirely my own. Hi! Thank you for the chance to comment and enter your cookie contest. I would have to say the Dark Chocolate Chocolate Chip cookie would be my first choice, because, of course….chocolate. Need I say more? This would be fun to taste test a variety of flavors as well. P.S. 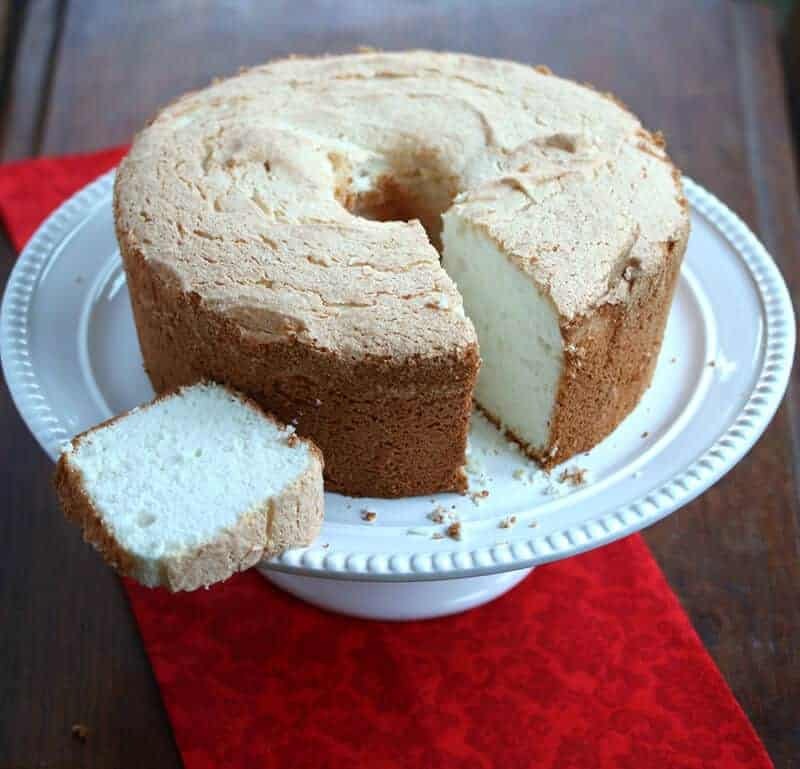 The Angel Food Cake looks great! I will have to surprise the family with this easy treat. The sea salted peanut butter would be my first choice! Sea salted peanut butter without a doubt! Thank you for the recipe share and also for the chance of winning the giveaway! I would taste Oatmeal Raisin first! hmm they sound scrumptious! I’d try dark chocolate chocolate chip! 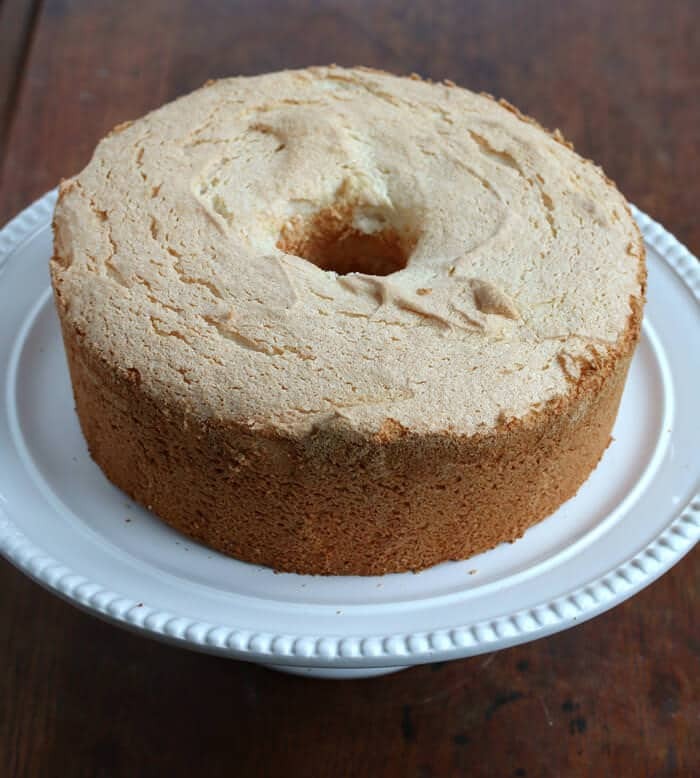 We have some relatives who love angel food cake, so I learned how to make it fairly early. People are definitely impressed when you make it yourself! Dark chocolate chip would be my first choice. I think I’d try the dark chocolate chip variety first. Definitely sea salted peanut butter. I would eat the dark chocolate first. I’m not a fan of dark chocolate so I would eat those first and save the other cookies ( all sound fantastic!) so I would end on a high note! How could there be any primal cookie flavor better than oatmeal raisin? Quick question, how much sugar do you add to the flour, and to the egg whites after being whipped? It states 3/4 cup but does not break down what amount goes into each. Hi Al, sorry if that’s confusing: There is 3/4 cup sugar listed twice. The first 3/4 cup is added to the flour, the second 3/4 cup is added to the egg whites. Happy baking! I would try cinnamon sugar! Oh my that jumped right out at me when reading flavors! Dark chocolate! They all look delicious! Ooh I would definitely have to pick Dark Chocolate Chocolate Chip!! My favorite cookie is the Oatmeal Raisin so I think I would go with that one first to compare to the original cookie so I would know what the other flavors would be like. Cinnamon Sugar for sure! Reminds me of a dessert cookie that I made for Thanksgiving the first time I made Thanksgiving dinner (40 guests). I was just 21. Thanks for the urge to make angel food cake. I have not made one for a few years. They are easy and much better than store-bought. Well, that’s an easy choice for me. Regular chocolate chip, I’m traditional and those have always been my favorite cookie of choice. So, Kimberly, that shipment of cookies must have come after I left, darn!! I would choose the Chocolate chip. Always a favorite of mine since I was a little girl. I would go for the Dark Chocolate Chocolate Chip first for sure! They all sound really good, but I’d start with cinnamon sugar. If I had all 6 flavors in front of me, the flavor I would try first is the Sea Salted Peanut Butter. Sounds so yummy! I would start with the oatmeal raisin! Sea salted peanut butter! Sounds amazing! I would try the Chocolate Chip first! They sound so delicious! Sea Salted peanut butter sounds like a flavor I would like! I would try chocolate chip first! The sea salted would be my first choice, but I am always tempted to try the “original” flavor because for most companies that is the flavor that tasted so good that they knew they had to make a business out of it. Hi! I would like to try the Original Cookie Chip, because that was the beginning of HannahMax. I would love to try the oatmeal raisin. I’ve never had a crunchy cookie that was oatmeal raisin and it sounds intriguing. Sea Salted Peanut Butter sounds scrumptious! I’d try the Cinnamon Sugar first. I would try the Dark Chocolate Chocolate Chip first. They all sound so yummy! These all look delicious but I’d pick Chocolate Chip first. I would try the sea salted peanut butter first. I love peanut butter. I’ve had the chocolate chip multiple times and it was love at first bite. I’d say I’d try dark chocolate chip next! PS – That angel cake looks heavenly – geez! I love anything chocolate chip! It gets my vote. I would try the Cinnamon Sugar first. Thanks for the giveaway! I would have to go for the Dark Chocolate Chocolate Chip first! Thanks SO much for the chance to win! I would like to try the Cinnamon Sugar first! Sea salt n peanut butter for us.. Dark chocolate chocolate chip. Definitely. I’d go for the Oatmeal Raisin! I would go for the classic chocolate chip! Cinnamon Sugar, as that is a family fav. Meantime, I have some fresh strawberries which will go nicely with this Angel Food cake recipe, thanks! OH MAN… I would definitely try the Cinnamon sugar one.. Sounds great with coffee!!! Of course I think they all would be simply fantastic!! These cookies are so good and the first one I’d eat is Chocolate Chip. I would want the Sea Salted Peanut Butter.